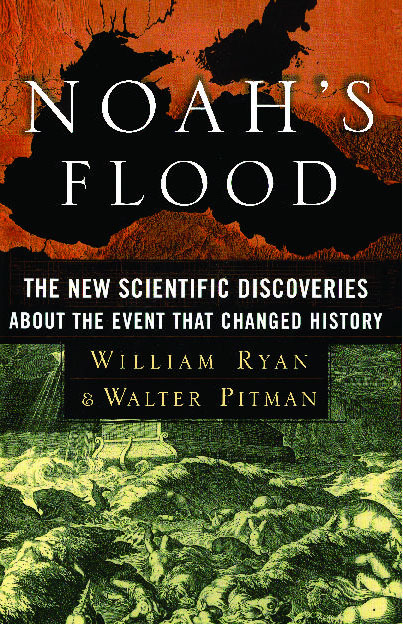 Using sound waves and coring devices to probe the sea floor, William Ryan and Walter Pitman revealed clear evidence that this inland body of water had once been a vast freshwater lake lying hundreds of feet below the level of the world's rising oceans. Sophisticated dating techniques confirmed that 7,600 years ago the mounting seas had burst through the narrow Bosporus valley, and the salt water of the Mediterranean had poured into the lake with unimaginable force, racing over beaches and up rivers, destroying or chasing all life before it. The rim of the lake, which had served as an oasis, a Garden of Eden for farms and villages in a vast region of semi-desert, became a sea of death. The people fled, dispersing their languages, genes, and memories. David Brown The Washington Post A fascinating lesson in geology, oceanography, archaeology, and inductive reasoning. Amanda Heller The Boston Globe A complex but thoroughly plausible solution to this intriguing mystery in a narrative of surprisingly dramatic intensity. Philip Morrison and Phylis Morrison Scientific American As engaging as it is important...exciting...full of surprises, rivalries, and partnerships. Richard Ellis The New York Times Book Review An interesting and provocative story...Ryan and Pitman have thoroughly researched every aspect of this intricately woven story. They are articulate, enthusiastic, and dedicated.